Commonwealth Academy's student population is 30 percent (30%) female and 70 percent (70%) male. 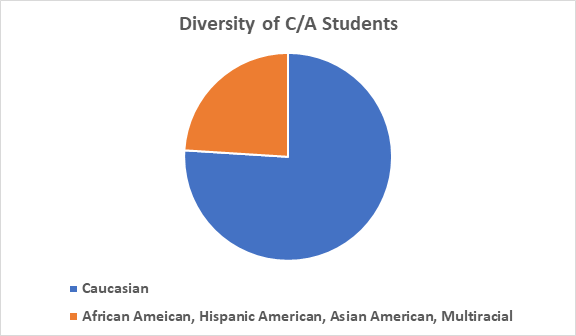 Twenty percent (20%) of our student body is non-Caucasian, including African American, Hispanic American, Asian American, and Multiracial American. 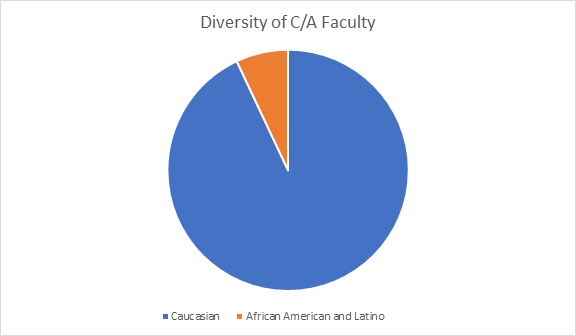 Among the faculty and staff who are employed at or by Commonwealth Academy, 60 percent are female and 40 percent are male. 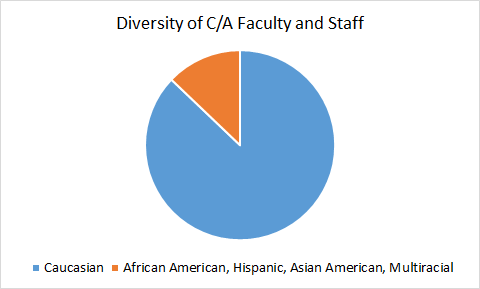 Thirteen percent of those who work for C/A are non-Caucasian, including African American, Asian American and Hispanic/Latin American. Several faculty/staff members and C/A contractors were born in other countries, including Albania, Brazil, Canada, Cuba, Germany, Turkey, Ukraine and the United Kingdom.